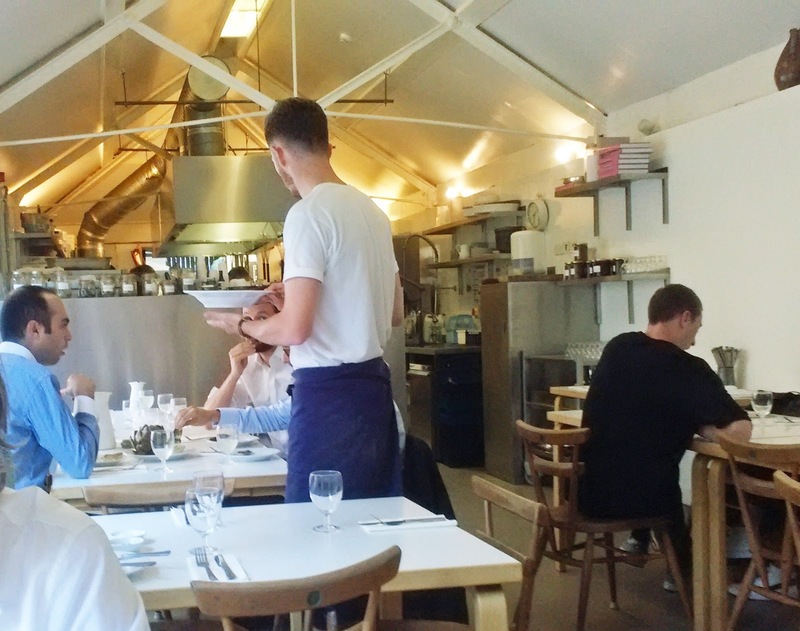 I went with Kati on her birthday to a nice restaurant in Shoreditch, the Rochelle Street Canteen. With a dash of irony it’s been set up in the bike shed of an old school. I liked the food and the ambience, here at the heart of Remain Britain, where The New European was conceived. 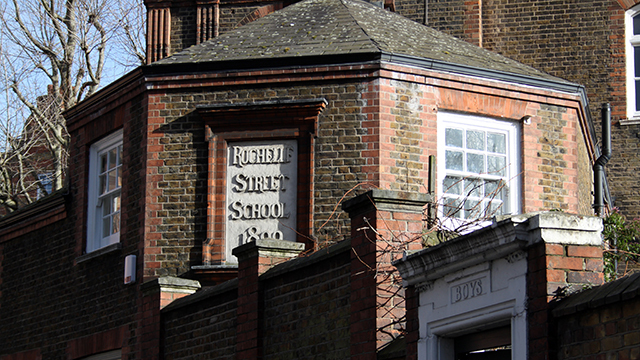 But the visit had a special interest for me because my mother went to Rochelle Street School early in the last century. 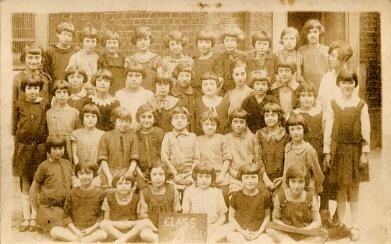 Here she is in Class 4, in a white dress in the centre of the front row. On her left with the fringe is her lifelong friend, Renee Lands. I sat in the same schoolyard the other day enjoying my aubergine, chickpea and shallot with labneh. When the photo was taken in 1920, my mother spoke only Yiddish and my grandmother had to borrow money to feed the family. Rochelle Street is in the Boundary Estate, the first public housing scheme in Britain, put up by the London County Council (LCC) under a Liberal-Labour administration. When my mother told me about the Boundary Estate, when I was a child in the mid-1950s, you couldn’t find much about it in it print, but it’s now well-known and well documented. 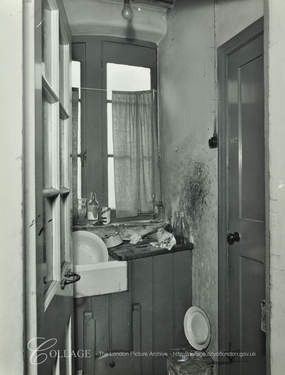 In the fifties, the flats were pretty much as my mother knew them in the 1920s, small and without baths, some without inside toilets. The LCC were just enlarging them by knocking three into two. In the 1970s, the estate’s profile was raised when squatters moved in homeless Bangladeshis. They stamped their culture on the area much as the Jews had done seventy years before. When I reconnoitered there, editing my late mother’s autobiography in 2000, it was still unfashionable. Now the old Rochelle Street School is an arts centre and there’s this chic restaurant. The buildings are listed, Grade II, and designers and media types are falling over themselves to buy anything that comes on to the market – a two-bedroom flat in Sunbury House costs £725,000. My mother never called it the Boundary Estate, always The Buildings. She was the youngest of four in a two-room flat with no bath, no toilet and no inside water. The three boys slept on the couch and she slept with her parents. No wonder there were no more children after her. There was a large Jewish community and Rochelle Street School had so many Jews that it closed on Jewish holidays as well as Christian ones. There was open anti-Semitism, not just on the streets but from teachers as well. There were places Jews didn’t go, especially Hoxton, where Mosley’s Blackshirts flourished. Let’s not be sentimental about the old East End: my mother hated it. There were bedbugs. Her father was in poor health and often out of work. Until her older brothers went to work they were always short of money. The close community spirit was nothing to her: she disliked people living in each other’s houses and, when she married, she moved to a semi-detached house in Pinner and closed the door behind her. Today we would call the Boundary Estate development “sustainable”: there was the improved accommodation, local employment in workshops interspersed with the flats, communal gardens, a central park with a bandstand, a laundry, schools and shops. Boundary is famous as the first housing development for the working class in Europe and it’s notable for its Arts and Crafts Architecture. At the LCC, the Arts and Crafts ideals of high-minded simple living and good design came together with the radicalism of the Liberals and the socialism of Labour. In 1893 they created a branch of the architects’ department dedicated to the Housing of the Working Classes. Most of its staff were influenced by William Morris, Philip Webb (who designed Morris’s Red House), Norman Shaw and W.R.Lethaby. 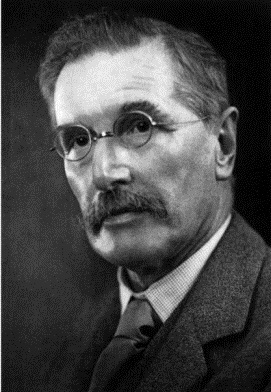 Lethaby himself was commissioned by the LCC’s Technical Education committee to devise a new scheme of craft education, which bore fruit in the Central School of Arts and Crafts. 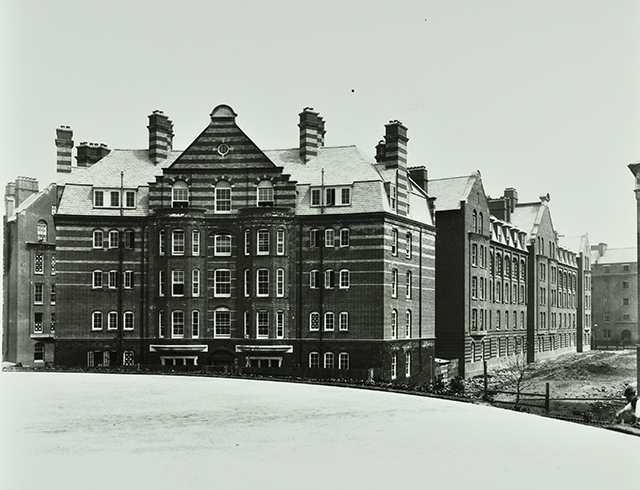 The 1890s, when the estate was built, was the apogee of the Arts and Crafts movement and its philosophy permeated the LCC’s housing, education and design. 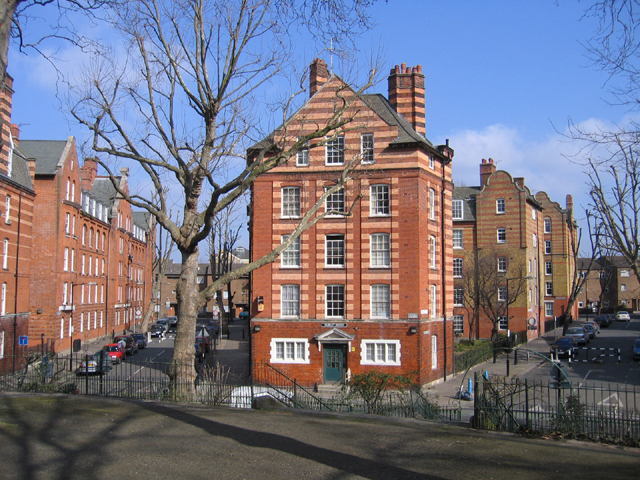 The Boundary Estate’s principal architect, Charles Canning Winmill, one of the first appointed to the Housing of the Working Classes department, was a friend and disciple of Webb’s and his conception and details are totally Arts and Crafts. 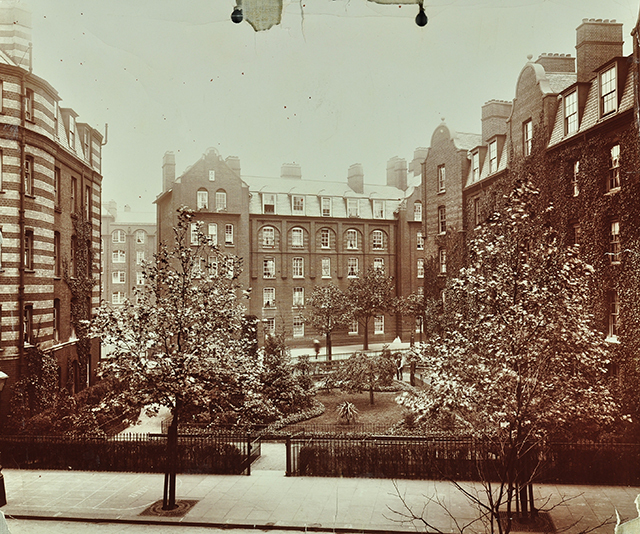 The Estate was laid out in a radial pattern of tree-lined avenues around Arnold Circus. There’s variety in the buildings and, according to my mother, all the flats were different. They were designed for the artisan class. Capital was raised commercially and the rents were high, which meant that the poor displaced from the former slums couldn’t afford to live there. The high rent may have been the reason why my grandparents always had to borrow. Sunbury House has a façade facing an inner courtyard, with end façades facing Swanfield Street and Hocker Street. It’s constructed of red brick with bands of yellow. The main façade is arranged in bays and recessed portions, enlivened with gables, turrets, dormers, stone copings, tiled window surrounds and window heads of different shapes. The other buildings show similar lively detail – stone bands between courses of red bricks, Dutch gables, dormers, varied window heads and interesting gable ends. This colouring and detail is partly the effect of Ruskin’s advocacy of Venetian architecture, a type of building derided as the “Streaky Bacon Style”. The British Architect called the Boundary Estate “Stripeland”. Ruskin began to regret his influence on building and deplored the fancy brickwork on factory chimneys and the pubs in Italian Gothic. The LCC’s second housing development was the Millbank Estate in Vauxhall, also in Arts and Crafts style, and also worth looking at when you visit Tate Britain. It had better accommodation than Boundary, but less variation in colour and material. Hurley House: bands of red and yellow brick, tall chimneys, Dutch gables and glazed tiles. The estate is attractive and its layout, architectural details and social purpose make it still desirable. It reminded me of an Arts and Crafts development for the working class that I visited last summer, the Wekerle Estate in Budapest, which is also a desirable and popular place to live in.